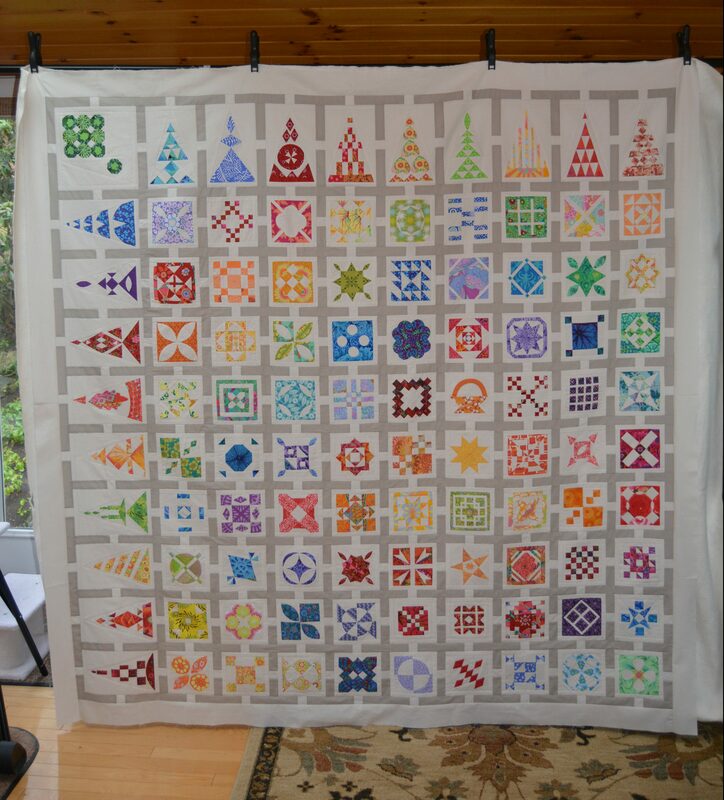 After almost four years of playing with my Dear Jane blocks I accumulated 81 squares, 18 triangles and 1 corner square for my quilt, That does not include a few extras that were the wrong color, or that I just did not think were good enough for one reason or another. So, now I have my own version of a Dear Jane Quilt. There is a lot of Kaffe Fassett fabric in this quilt, but I also started using whatever fabric I thought would work with my modernized version of a Dear Jane Quilt. And then I put all those other left over blocks together to make a little quilt that I can practice my quilting on. So stay tuned for my finished quilt which will occur once I am brave enough to dive into quilting it! 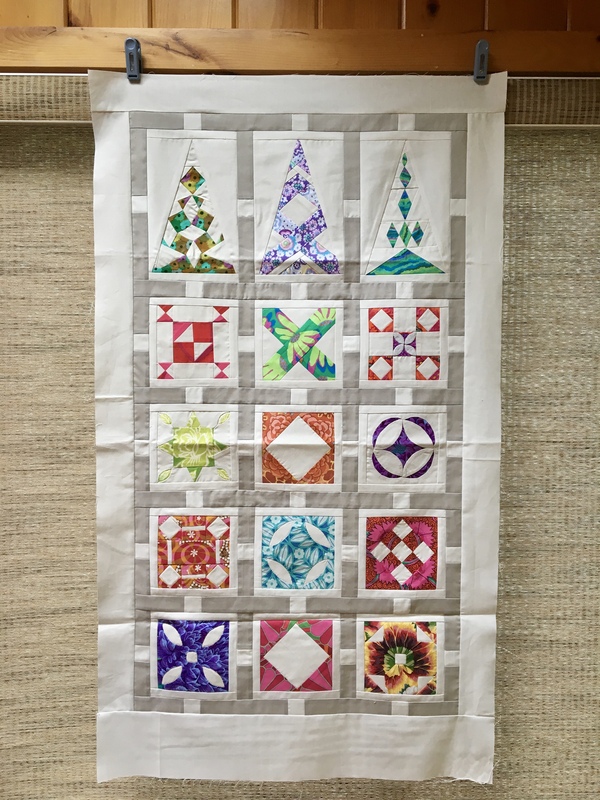 This entry was posted in Dear Jane and tagged #dearjanequilt, #kaffefassett, #tulapink on May 26, 2017 by pmegio.